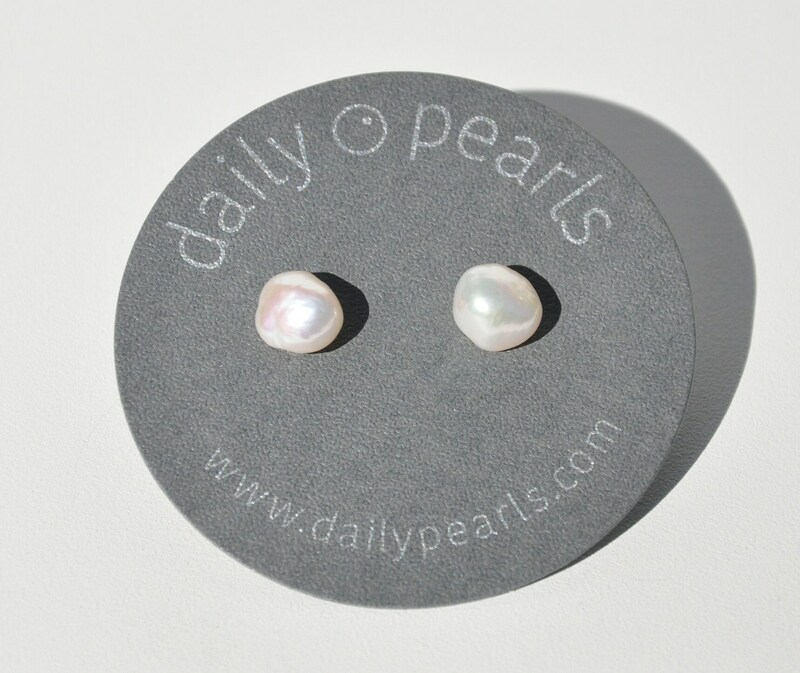 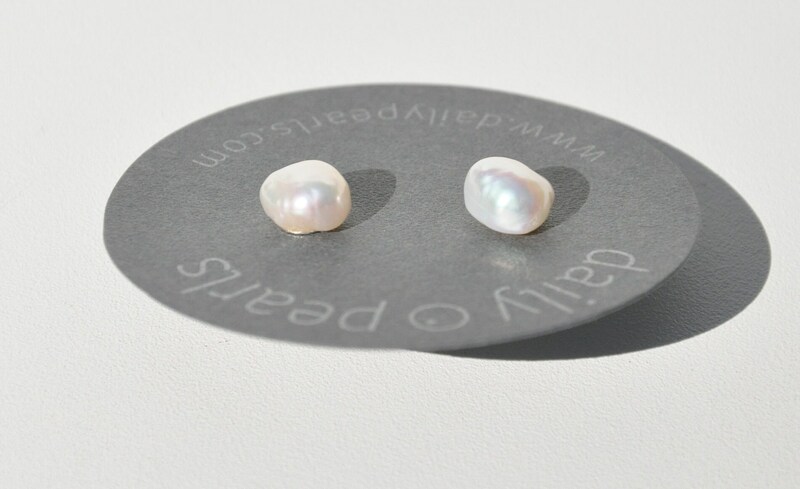 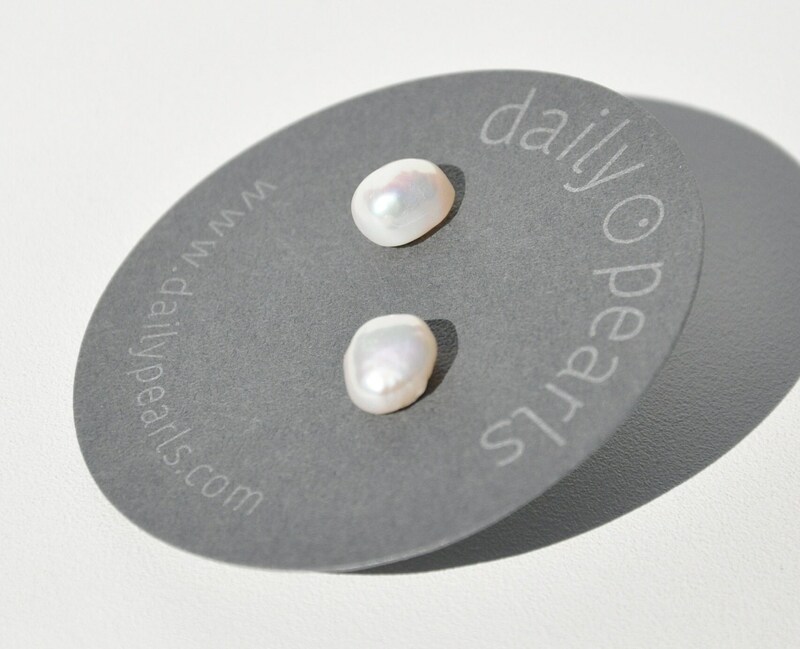 These are the smallest baroque freshwater pearl nuggets we sell, and they are beautiful. 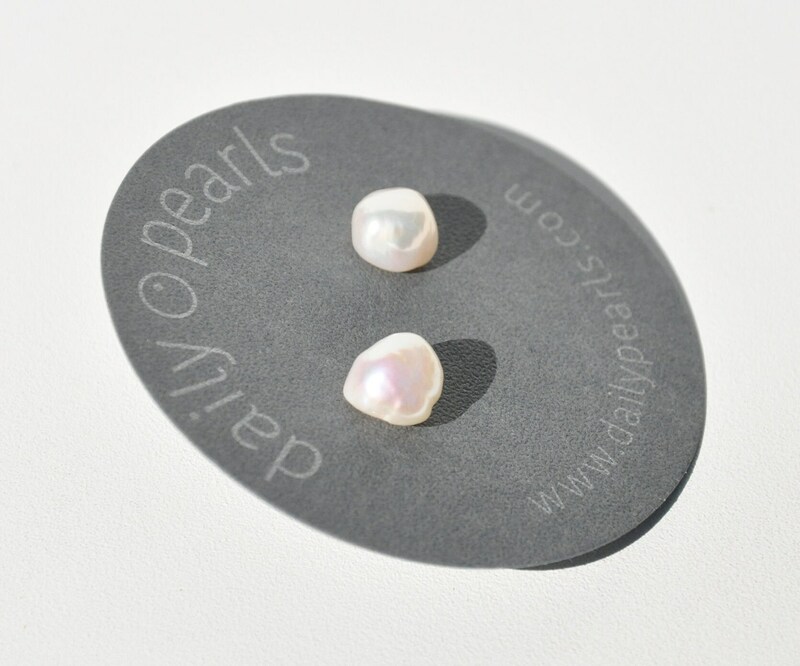 Easy to wear, whether lounging at home or eating out, they are a modest way of bringing the light of pearls to any manner of dress. 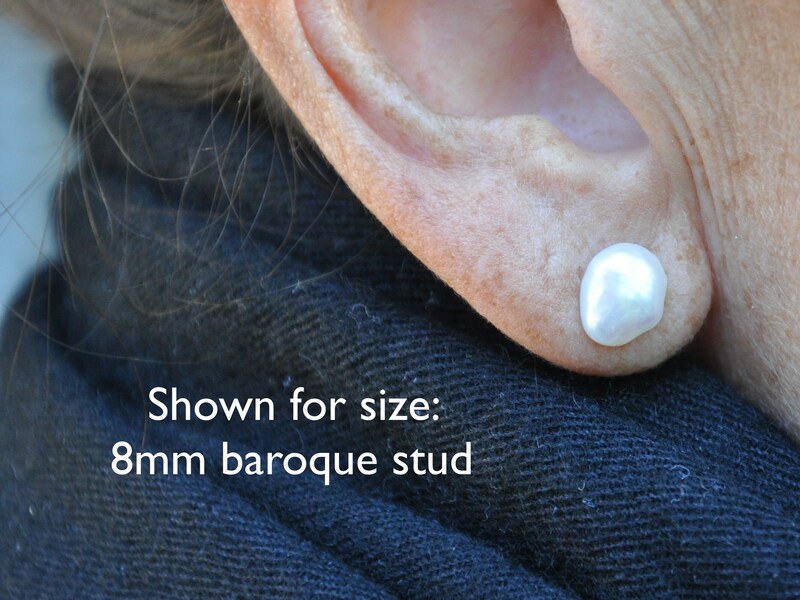 The photos above include an 8mm stud on the ear.